In just the last decade mobile computing has boomed and people around the world have been using mobile devices to do almost everything. Mobile phones that once just allowed you to make phone calls or texts have been replaced by pocket-sized, smart supercomputers that empower consumers to do a wide range of things, from booking restaurant tables, playing games, ordering taxis to doing financial transactions. Many more of the world’s leading mobile startups are European players, like BlablaCar, Rovio, Spotify or Skyscanner. In fact, 30 of the top 100 apps downloaded globally as measured by App Annie were created right here. At the same time, Europe is the birthplace of some of the fastest-growing mobile manufacturers including BQ, Fairphone or Gigaset who are now competing on the international market. As this European ecosystem should be encouraged, supported and promoted, we decided to celebrate the Mobile Innovation in several countries. Last week and after Madrid, Paris, Rome and Istanbul, we celebrated the best of Europe’s mobile economy at the Autoworld Museum in Brussels, a place that stands like no other for mobility, innovation and digital transformation. What did we discover? That Europe is a hotbed of innovation for developers. In Europe, the mobile economy has generated already more than 1.6m jobs with an estimate that, by 2018, the apps sector could create 4.8 million new jobs in the region. At the event, UK-based King, creator of the famous game Candy Crush told their story of rapid growth to over 2000 employees, collecting more than 394 million active users along the way. Linda Griffin, Head of Global Public Affairs, shared with the audience that “access to talent and finding qualified talent are the major challenges and costs for the tech sector”. The Marseille headquartered device manufacturer WIKO explained how they became the second most sold mobile device brand in France, and Olivier Jeannel from RogerVoice shared how mobile solutions can be a driver for social good. His free application is helping the 70 million deaf people who cannot hear on the phone. He highlighted that “Android openness permitted us to built quickly our tool and to spread it to the world". Being Brussels, the conversation turned to policy-making. King’s Griffin urged the European Commission that in order for startups to succeed in Europe, the “DSM policy-making must enable more investment and a better attitude to risk”. And Irmfried Schwimann, Deputy Director-General of the European Commission’s DG GROW called on all stakeholders to “create an ecosystem where everyone can thrive online” from urban to rural areas. As demonstrated last week and at events across Europe, app developers, device manufacturers and mobile operators have reaped the benefits of Android, a free, open-source mobile ecosystem in which Google has invested for a decade. Today, we’re proud to count 1,300 brands offering 24,000 distinct Android-based devices and 1,3m individual mobile developers because we believe that competitive ecosystem means better choice and better prices for consumers. 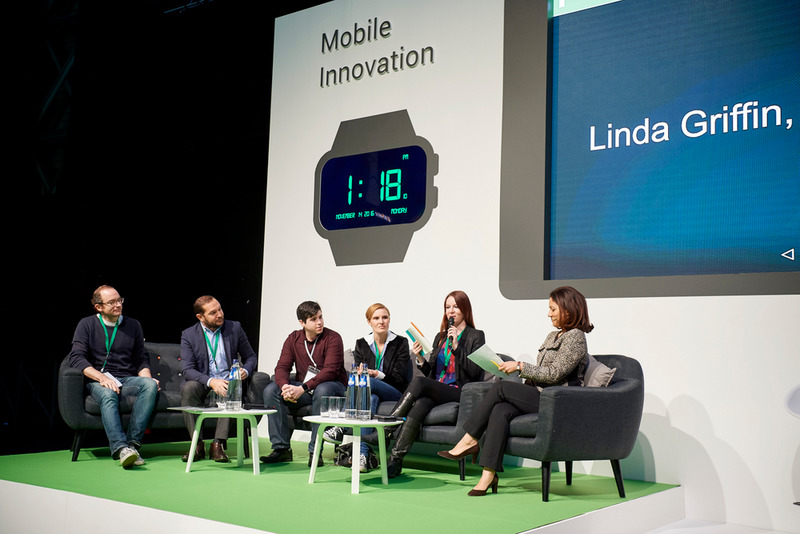 Strong partnerships within this mobile ecosystem--from app developers to device manufacturers and mobile operators--are key to continued success in Europe. Working together, we can ensure that European companies will continue to lead in the field.